Disclosure: This is a sponsored post on behalf of Collective Bias. All opinions are my own. 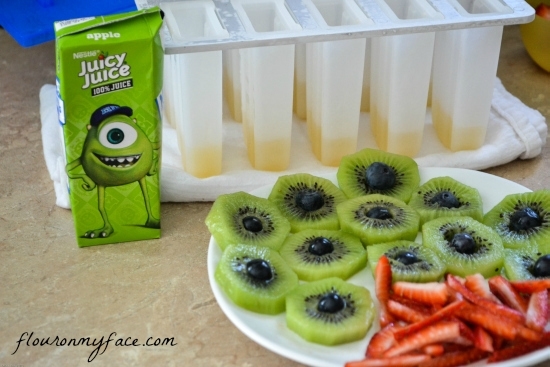 Cool the kids off with these Healthy Ice Pops For Kids Juicy Juice Monster Inc Ice Pops. We love all the Monsters Inc movies and the kids are looking forward to watching all their favorite Monster University movies when their out of school for the summer. Now that the hot weather is here I am trying to find all sorts of ways to cool off with the kids. 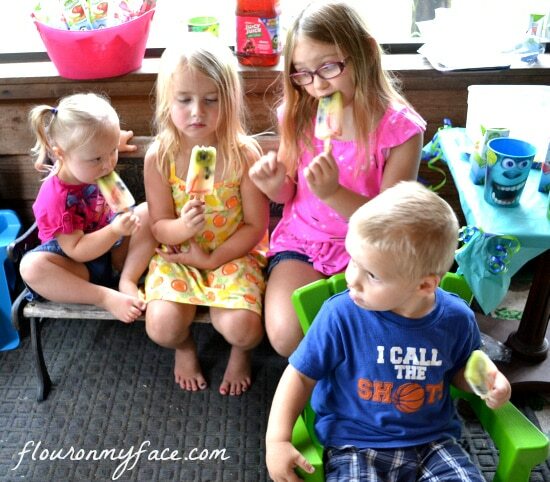 One of my favorite ways to cool off the kids is with a healthy frozen snack. 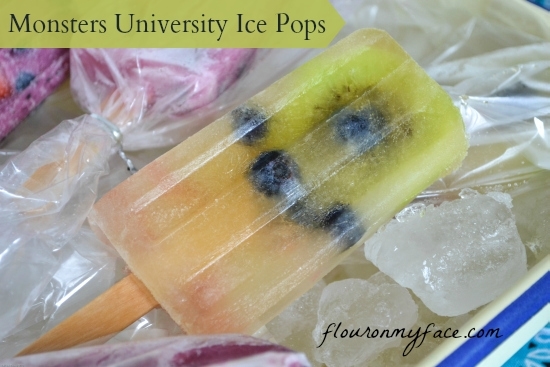 I love to make homemade ice pops with fruit juice. After seeing all of the great Monster University products at Walmart I decided to throw a little Monster University get together for my three granddaughters and Aiden, a son of a friend of ours. The kids love all the Monsters and I had great idea to make a Mike Wazoweski inspired ice pop for them using Juicy Juice and fresh fruit. 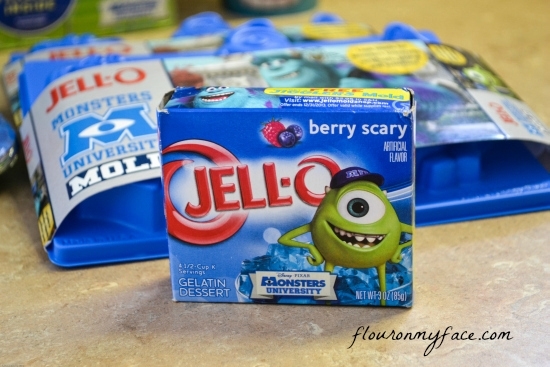 When I saw the cute Monsters University Jello Jiggler molds I decided to make some jigglers for the kids also. I love to make homemade ice pops. 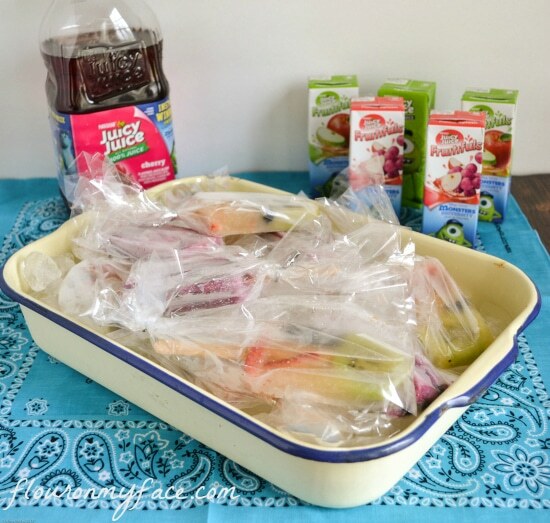 Once you own an ice pop mold you can whip up healthy snacks that the will kids love anytime. When it’s hot outside it is also a great way to hydrate the kids in the scorching heat of the summer. To make these Mike inspired ice pops all you need is some Juicy Juice , a couple of kiwi’s, a handful of strawberries and about a cup of blueberries. 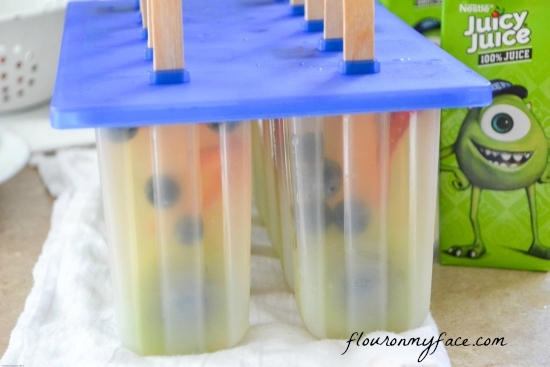 If you have a smaller ice pop mold then the one I used you will need less ingredients. Keep in mind the size of a kiwi slice. 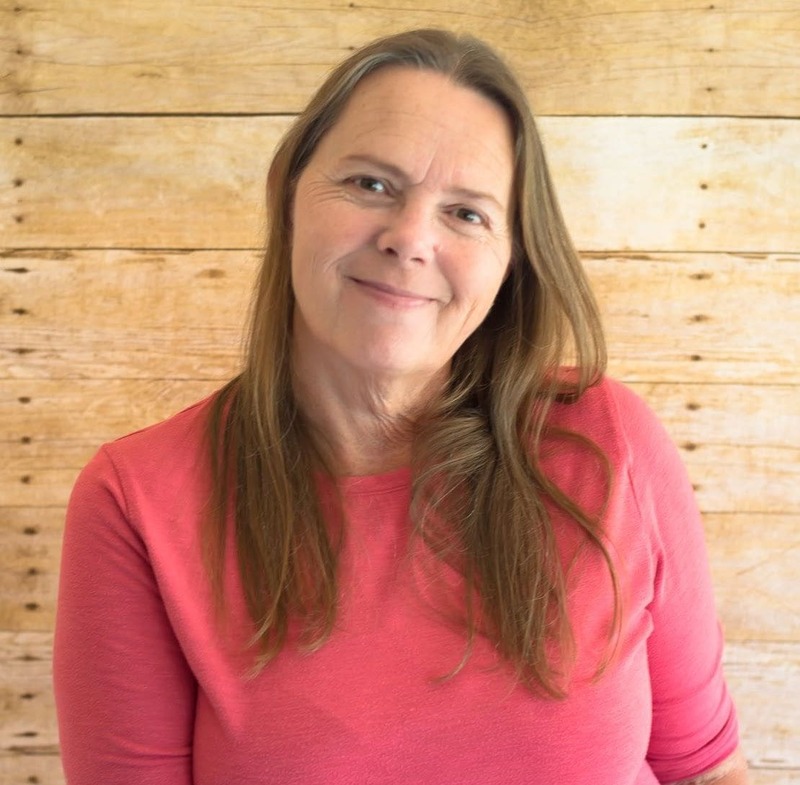 You will need a larger mold to get the whole slice to fit inside the mold. Slice the kiwi’s into thick slices. Cut the strawberries into fourths and remove the white center. Once the center is removed slice the fourths into thin ribbons. Remove the center core from the kiwi slices and add a blueberry to the center of each kiwi slice. 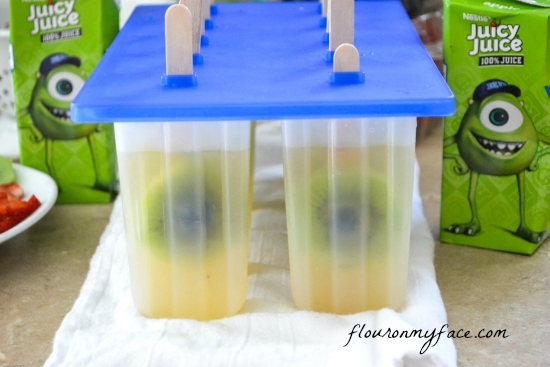 Add about an inch of apple juice to the bottom of the ice pop mold then slid the kiwi slice into the mold. When I originally planned this idea in my head I planned for the strawberry ribbons to represent Mikes mouth. What I wasn’t prepared for was for the strawberry pieces to float in the juice instead of staying where I wanted them to be. Well that idea didn’t work out so I decided to just add some more blueberries and the strawberry pieces and hope for the best. After I added the fruit I filled the mold the rest of the way with Juicy Juice apple juice and froze them. All in all the ice pops turned out great. 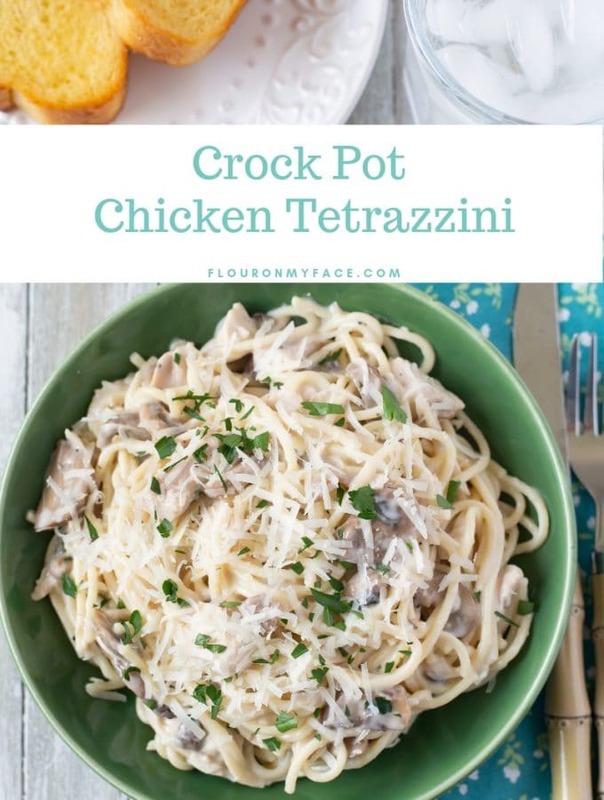 They tasted great and the kids loved them. 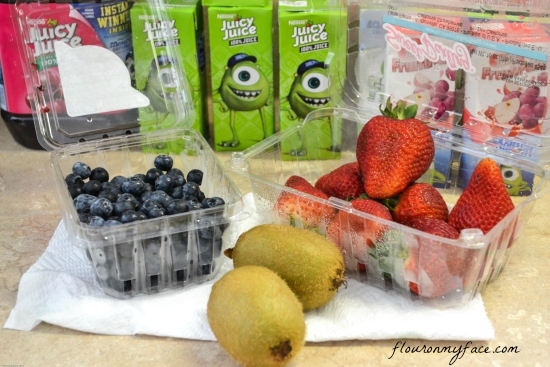 They didn’t really look like Mike but that blueberry in the center of the kiwi slice looked pretty monster like. Some of the blueberries settled in and gave the impression of a mouth so all was not lost and since the kids loved them that was all that really mattered. When the Mike ice pops were frozen I decided to make another batch of ice pops. So I unmolded the Mike ice pops and slipped them into some plastic treat bags and stuck them back in the freezer. I decided to make a fruit and yogurt ice pop for the second batch. For this flavor of ice pop I used the Juicy Juice bottled Cherry Juice, greek yogurt, blueberries and strawberry slices. 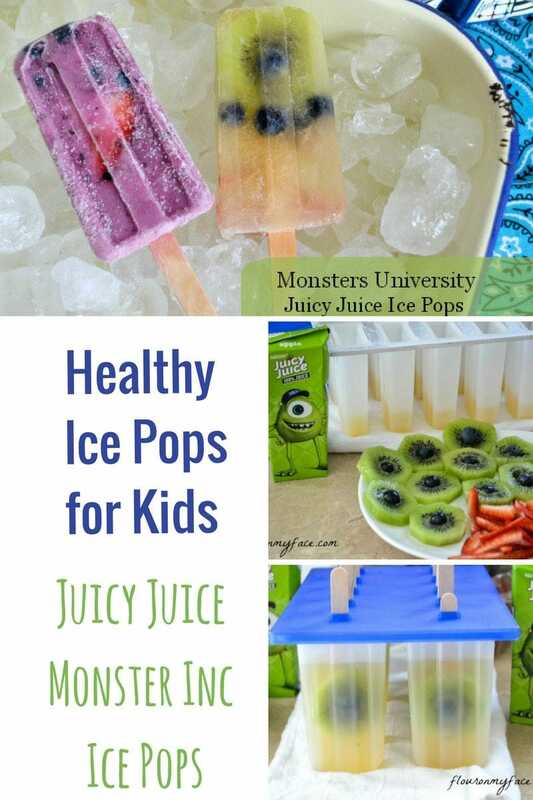 Celebrate the Monsters University movie with some healthy Juicy Juice Ice Pops that look like monsters! Place the juice, the greek yogurt and 1/2 cup of blueberries into a blender and pulse until mixed well. 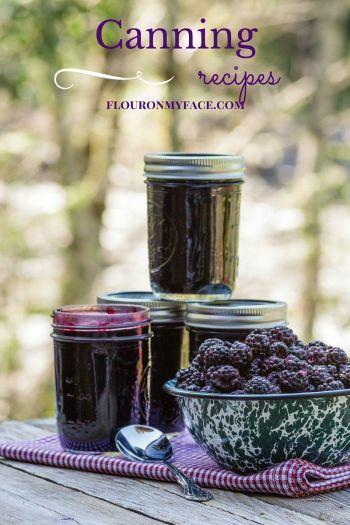 Remove the blender container from the base and mix the remaining 1/2 cup blueberries and mix them in. 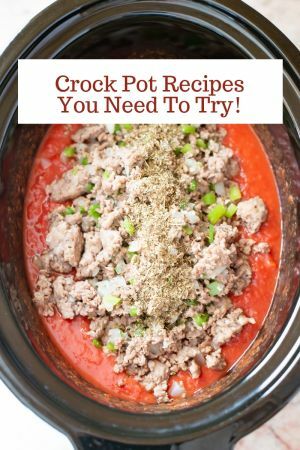 Add a slice of strawberry and freeze. 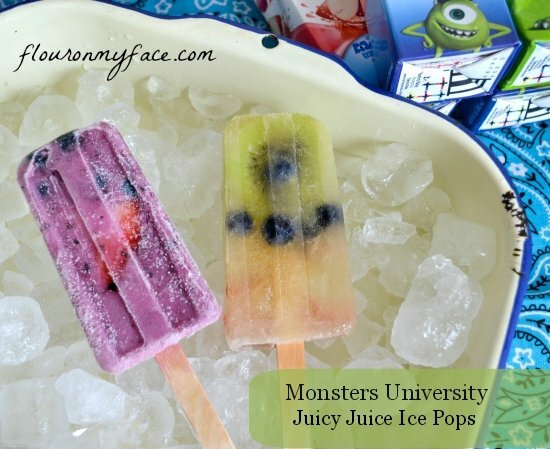 After you pick up a few Juicy Juice products to make your own Monsters University inspired ice pops be sure to head over to the Juicy Juice website for more Juicy Juice recipes. Check out the Disney Facebook page for more information on the opening of Monsters University movie. Like the Nestle Facebook page for more information about all Nestle products. 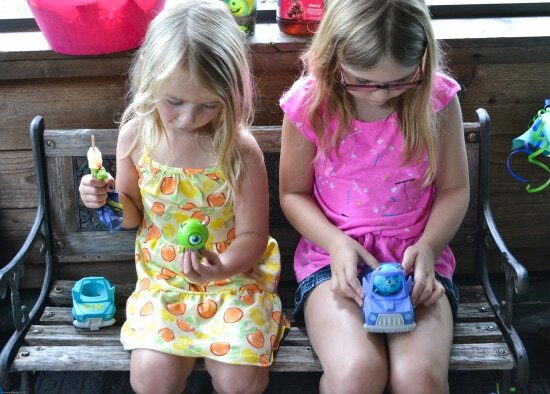 The kids had a great time with their Monsters University snacks and toys. Just one more picture because I think my youngest granddaughter Addison is a little cutie patootie in this picture. 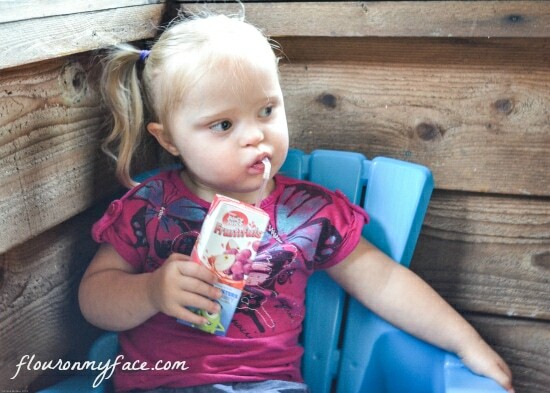 She looks so serious as she is sipping on her Juicy Juice. My cutie patootie Addison enjoying her Juicy Juice. Your popsicles look great! My kids can’t wait to see the movie. I have heard it is super cute. 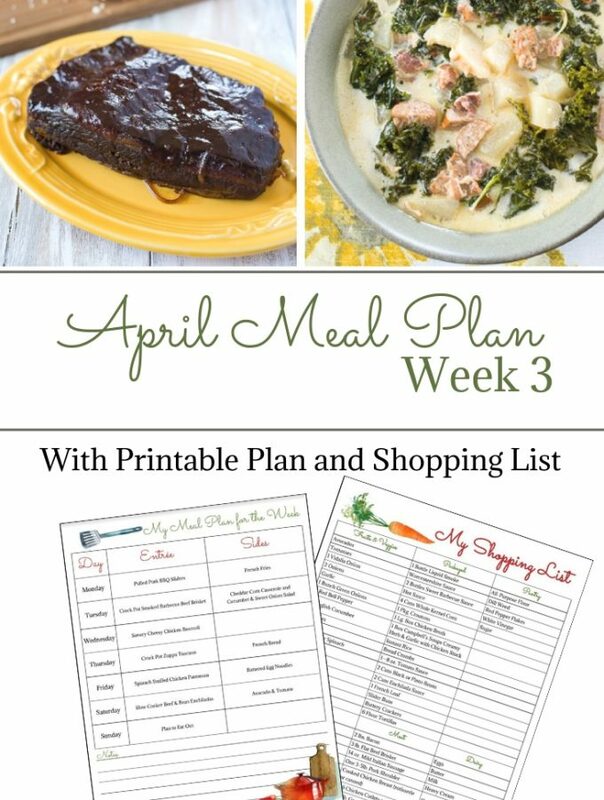 this is such a fun idea!!!!!! Those JuicyJuice Ice Pops look delicious! 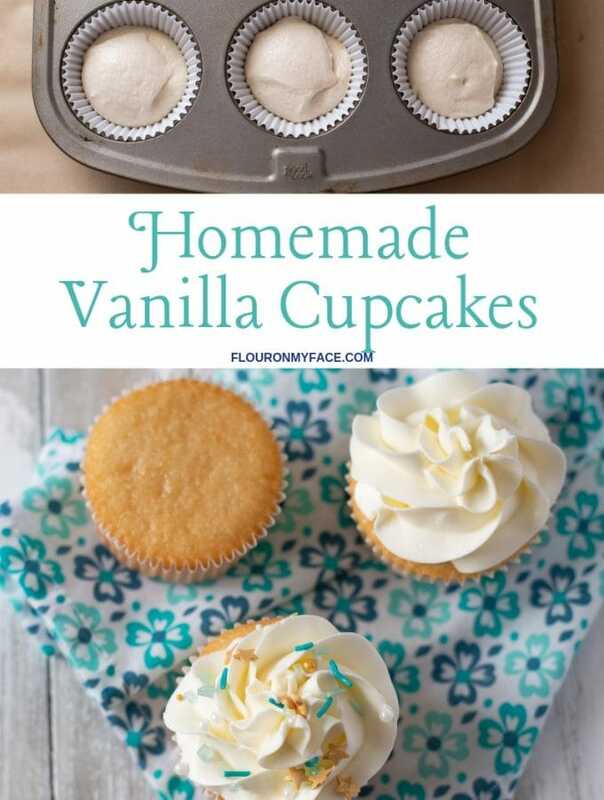 I’ll have to make those for my kids! The pops are such a cute idea! My nieces love kiwi-they would be huge funs of the Mike pops! 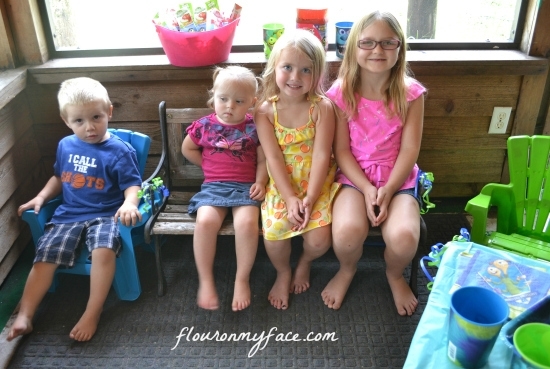 Thanks my grandkids loved them!